The Olympiad kicks off in 3 weeks, although for various reasons, it still seems like months away for me. Having got visa's organised, flights booked and teams registered, I've been putting of thinking about the actual tournament for a couple of weeks. Not helping is the uncertainty over some aspects of the event, such as accommodation for the teams. Unlike previous Olympiads we haven't been told which hotel we are staying in, and the rumour mill has it that university accommodation may be what we get instead. The charter flight times also keep changing, although I may not be as inconvenienced as some. What I do find surprising is that 160 teams are playing in the Open competition, which will be a record. Given the difficulty in getting to the host city, both in terms of travel and permission, this shows a level of organisation that national chess federations aren't usually noted for. Of course who actually shows up on the day may be a another matter entirely. The Pakistan cricket team continues to entertain. After snatching defeat from the jaws of victory against Australia earlier this year, they've managed to do it again, this time against England in a just completed Test Match. Despite having England at 5 for 47 and 7 for 102 in the first innings, they allowed them to score 446, and then folded cheaply in both innings (74 & 147) to lose by an Innings & 225 runs. The team is now being investigated for match fixing, which was also raised in the context of their loss to Australia. Interestingly the Australia team still maintains that they felt their was nothing wrong with their win at the tine, although this may have more to do with Ricky Ponting seeing the win as a massive 'up yours' to the media who (correctly) criticised him for batting first on a demonic pitch. Of course this 'see no evil' attitude isn't just confined to cricket. There were plenty of questions raised in 2004 after the Georgian team went down spectacularly 3.5-0.5 to the Armenian team in the last round of the Olympiad. Actually plenty of questions were raised *before* the Georgians lost, with the American and Israeli teams drawing the attention of the officials to a potential 'fix', after rumours of a betting plunge on exactly that result began to spread. And as far as I'm aware, these questions were never answered. 'Chess Nuts' is an interesting book I read the other day.By Julia Lawrinson, it is 'young peoples fiction' (ie 10 to 14 years I guess) and is about a school chess team and the members of that team. As with books aimed at this age group the themes aren't that complex, and deal with the issues of fitting in, competition and acceptance. From a chessplayers point of view I was pleased that most of the chess references were correct (ie real opening names, real players quoted) and had a pretty accurate description of the actual competition activities (although the villains were painted a little too thickly). It is a recent publication (2010) and I picked it up a school book fair. I'm assuming that it will probably turn up at similar book fairs at plenty of schools in Australia, and if you see it, it would make an pretty good gift for the junior chess player in your family. While flicking through a Russian language book on endings that I had in my library, I came across a set of positions. Even though I cannot read a word of Russian, I recognised the positions as 'Injustice patterns'. The 'injustice pattern' is a position where it looks as though one side 'must' be winning, but it turns out that the positions is instead drawn. 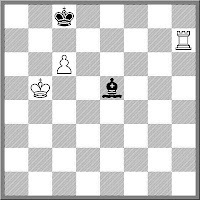 One obvious example, indeed so obvious that the description is never applied to it, is K+B+rP v K, where the bishop does not cover the queening square, and the defending king does. A not so obvious example is given in the first diagram. 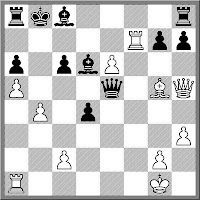 Here White has the right coloured Bishop but the presence of the pawns on a6 and a7 mean the position is drawn any way (although a number of my computer engines spend a lot of time thinking it is winning for White!). You can even shift the position 1 file to the right and it will still be drawn. 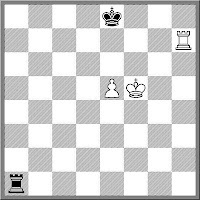 However moving it yet another file across turns it in to a win for White as the King can sneak around the other side of the pawns. You can probably discover other such positions using an online tablebase, but I'm not sure anyone has catalogued the full list of these patterns. I would be interested in hearing if anyone has. One of the topics that GM David Smerdon covered in his coaching seminar last week was using Chessbase/Fritz in opening prep. He discussed a number of approaches to use (choose something offbeat that has been played by a strong player etc) and demonstrated a number of analysis tools to use. One tool that I knew of, but had never used, was the 'Shootout' option (available in Fritz). You start with a set position, and then get one or more engines to play against each other from the position, either with set times, or with increasing search depths. I gave it a whirl during the week and noticed some interesting results. Firstly a lot of my opening chooses do badly. Secondly, they only do badly as the search depth increases. So they seem to work against shallow searchers, but fail against deep searches. 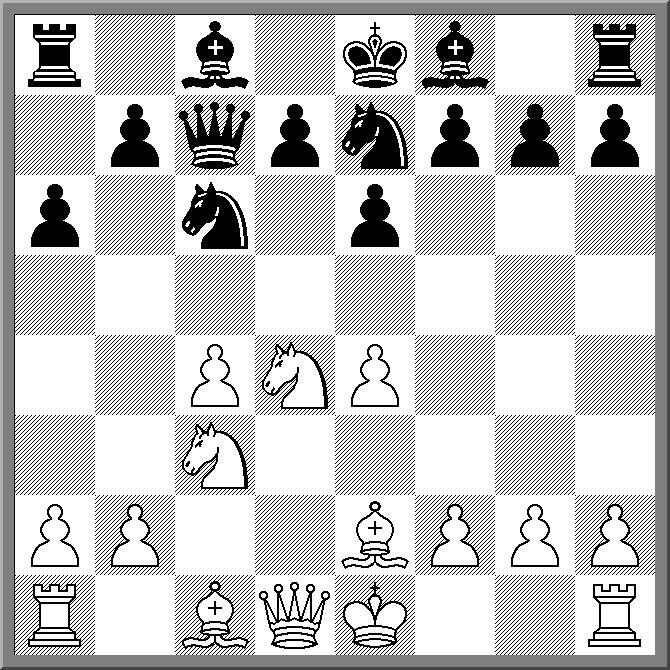 One of the positions I tried was after White's 7th move in the game I gave in yesterdays post. 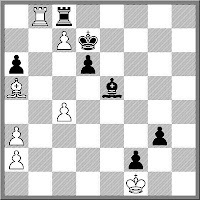 At plys 3&5 is cleaned up for Black (0-4) but after that White got the upper hand (Plys 7,9&11 finish +3=3-0 for White). On reflection this doesn't surprise me as a lot of my opening choices are based on early tactics/traps, in the hope of catching the unwary opponent. Against the more observant/prepared opponent I haven't always done so well, and Fritz just confirms this. Over the last year or so my son and myself have played in a number of tournament together. Interestingly our combined score in these events is usually 50%. In a couple of blitz events I've either scored 5 or 6 out of 9, while he has scored 4 or 3 from 9. In long time control events the night often ends with one of us winning and the other losing, or both of us splitting the point. While this is statistically interesting, my real worry is that he is getting a lot better. This means that if the trend continues, his scores will go up, while my scores will come down. At least for the moment I have a slight edge, but if the following game is any evidence I'll be soon heading into negative territory. The 2010 Data Arthur Tan Malaysian Open begins in a couple of days, and it is look likes it will attract a strong field. The organisers have announced that 50+ titled players are taking part, although I haven't been able to find a link to advance entries on their website. I do know a number of Australian players are taking part, a couple of them courtesy of their high placing in last years Myer-Tan Grand Prix. For the moment the official website has a couple of stories up, but is lacking the detail the chess bloggers like (who, when, how etc) but hopefully that will change once the event is under way. Seems like a bit of a row has blown up about the citizenship of World Champion Viswanathan Anand. He was due to receive an honorary doctorate from the University of Hyderabad but this was delayed because either the Indian Ministry of Human Resources Development believe Anand is a Spanish citizen or they simply failed to process the required paperwork for such an award to take place. Of course the reality is that Anand plays under the Indian flag and travels on an Indian passport, but if India does not want him, I'm sure Spain would be happy to put him beside their World Cup winning football team as another Spanish World Champion. You can get a long way by memorising openings (and in a lot of trouble if you don't remember them properly). You can probably get a lot further if you memorise your endings as well. Apart from the obvious positions (K+P v K, Lucene, Philador etc) knowing a few of the 'classics' may provide uprising rewards as well. Unlike openings where the transfer of knowledge between disparate variations often does not work, ideas often are transferable between different endgame positions. 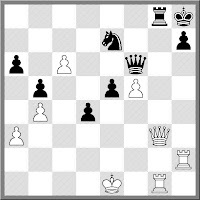 Here is an interesting study by Behting (1902) which demonstrates the idea of using mate threats to promote a pawn. 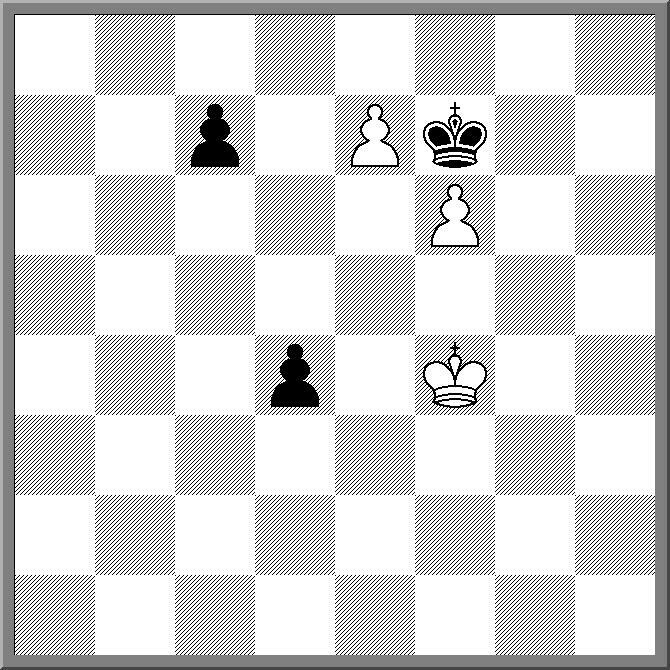 The winning idea is to force the Black pawn to c5 and then capture it. At first this looks impossible to do, as Black isn't forced to push the c pawn but through subtle manoeuvring White combines threats against the pawns with the idea of getting the King to e6 and mating with f7! The main line is 1.Kf3! c6 2.Kf4! c5 3.Ke4 Ke8 4.Kd5 Kd7 5.Kc4! Ke8 6.Kxc5 d3 7.Kd6 Kf7 8.Kd7 and wins! Today GM David Smerdon gave a 3 hour coaching session for improving adult and junior players in Canberra. It was a very successful event, and concluded with David playing a 24 board simul against the participants. One of the topics he covered was "How to draw with a higher rated opponent". He showed a game he played against Vasilly Ivanchuk in a Dutch league match a couple of years ago, where he held Chucky to a draw. In giving todays players tips on how to achieve this, he may have done too good a job, as he found the subsequent simul a real challenge. As today was about training he did give his opponents a head start by allowing them to choose an opening they wanted to practise (within reason of course). After approximately 2 and a half hours play the students acquitted themselves quite well, with 3 players getting draws (as per the lesson) and 4 players going even better by beating David! So while the overall result may not have been as good as he hoped, there is no denying that as a teacher he did a brilliant job. I've mentioned the "secret match" previously, although such things have seemingly gone out of fashion these days. Probably because of the rise of computer chess, in that you can now play 'training' matches against your own PC rather than a hand picked opponent. What is on the rise is the online 'bullet' matches between strong players, and even between strong and not so strong players (in a relative sense). Of course bullet chess (1 minute chess) isn't considered that serious so it is no surprise that the results of these matches aren't considered significant. Nonetheless a win by a lower rated player against a strong grandmaster is significant, even if only for the winning player. Here is such a game between a young Australian FM, and an even younger 2600+ GM. In the spirit of online chess I'll leave the names of the players a mystery for the reader to guess. One of the issues that come up at FIDE election time is whether each member country should be entitled to the same voting power. The usual arguments against "one country, one vote" is that there are some countries with large numbers of chess players (usually western European countries) and some countries with hardly any at all (usually African countries), and yet they both have an equal say in deciding who runs world chess. Interestingly, I've not really seen any of the official campaigns propose the abolition of the current voting system, although I have seen campaigns being accused of wanting to abolish the current system (by the other side of course). These arguments in my opinion fall down because they are based on selective definitions. Should China and India get 40% of the votes based on the number of chess players in those two countries? Or are we talking FIDE rated players only, and if so, are we setting up two classes of chess players? What prompted me to write about this was the following strange news article from Nigeria. Now Nigeria is a big country, in terms of population, but to get 6000 players to a chess tournament is a very impressive effort, even if at this stage they have only indicated an interest. Especially as the total prize money comes in at less than $6000 Australian (ie less than $1 per player). But if they did get such a field, does this make them a 'real' chess country, entitled to 'real' votes in a FIDE election? Certainly if proposals to change the FIDE voting system did actually materialise, they would have a case. Of course this discussion is hypothetical, just as I suspect the 6000 chessplayer tournament is as well. But in the current world of chess, I wouldn't be surprised if at some point it takes a left turn into reality. As previously announced, GM David Smerdon will run a coaching day for developing players this coming Sunday. COST: $25 flat fee for all comers. The proceeds will support David in his Olympiad trip. WHO MAY ENTER: As indicated previously, preference will be given to players from early teens and up, rating 1000-1700. However, others will be accepted if this does not fill the pool of places. FM Craig Van Tilbury , Olympiad representative for both the British and US Virgin Islands passed away last week. As well as being a chessplayer he was also a musician, playing guitar in a number of bands. He played in 10 Olympiads, representing the British and US Virgin Islands in 5 each. He played on board 1 in each of them, winning the gold medal for best score in 1984. Our paths would often cross during the tournament, as PNG and US Virgin Islands would either be paired together or located at adjacent boards. I often saw him analysing with team mate Bill Hook, both dressed in their Hawaiian Shirts, no matter what the temperature was. Australian chess fans would most likely remember Van Tilbury as the player who defeated Darryl Johansen in the first round of the 2002 Olympiad. A broader description of Van Tilbury's life and career is here. This has recently changed, in part due to some work I've done with my son. He seemed quite enamoured of the Kan variation and as a result I had done a little reading on the system. I also had a look at the Taimanov system as they seemed to be related. So when I sat down to play a game at Belconnen Chess Club last week I decided to play the Taimanov. Sadly for me I'd only done a superficial reading of the theory and assumed that the Kan and the Taimanov were a lot closer than they really were. As a consequence the following horror show occurred. 8.Ndb5! Of course it is now clear something has gone wrong. It turns out that I either play the Kan (with Qc7) or the Taimanov (with Ne7,Nbc6) but not both. 8. 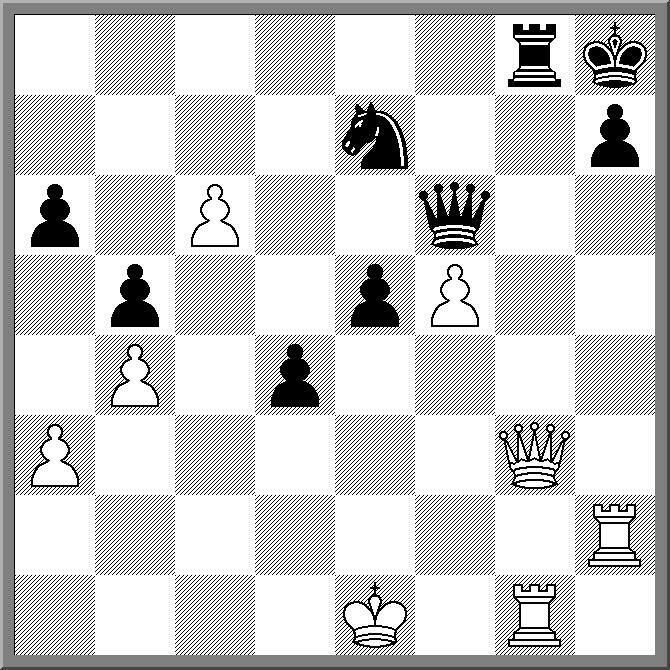 ... axb5 9.Nxb5 Qa5+ 10.Bd2 Qb6 11.Nd6+ Kd8 12.Nxf7+ Ke8 Now White can force a draw with 13. Nd6+ Kd8 14. 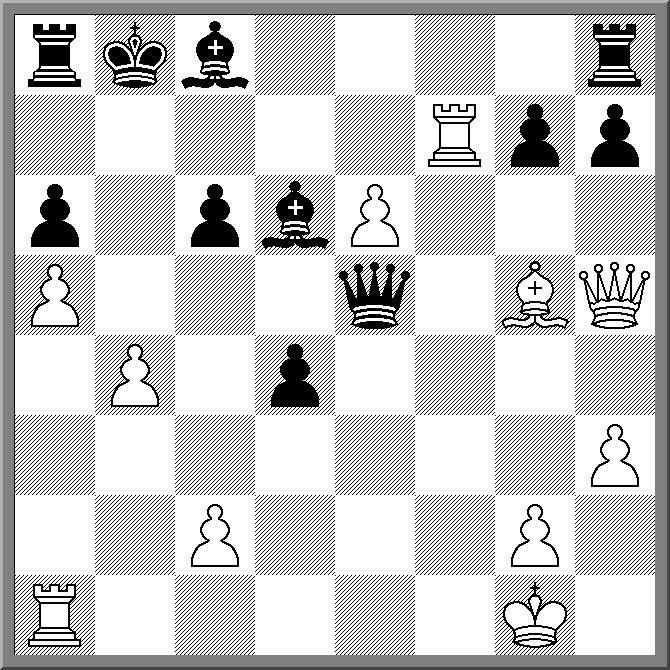 Nf7+ but why not take the rook. 13.Nxh8 Qxb2 14.O-O?! g6 Surprisingly I now have some play in this position as I'm picking up the knight, and White's pawns are under pressure. However I still don't like my position, especially with the c8 bishop struggling to get active. At this point the story has a happier ending, although not for my opponent. After a few more moves he decided that my king looked exposed enough to launch an attack but in doing so miscalculated and dropped the a1 rook. With an unexpected material advantage I quickly organised a defence and won without further difficulty! The 11th World University Chess Championship begins shortly in Zurich, Switzerland. It runs from the 5th - 11th of September and has already attracted a strong field, with 9 GM's and 9 WGM's already entered. Reading through the press release from the organisers, it appears to be (a) and individual competition and (b) not a championship of Universities, but a championship of University students. This is a little bit of a shame as a University teams championship (which have been held before) would be more interesting. In fact when the Olympiad dates were first announced they were much closer to the end of this event, and GM David Smerdon was interested in getting an Australian National University team together (including a GM, WIM and a CM). However the dates of the Olympiad shifted and the logistics eventually became too difficult. If you are interested in following this event, you can visit the tournament website. 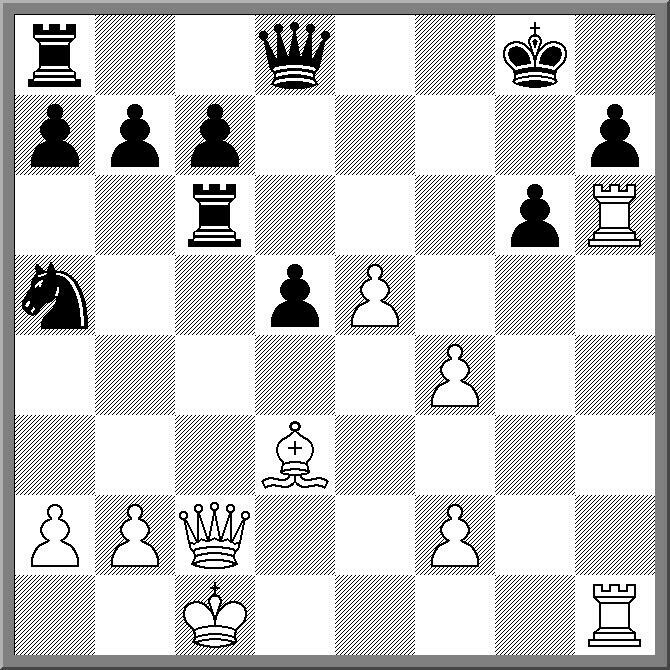 1.e4 e5 2.Nf3 Nf6 3.Nxe5 d6 4.Nxf7 is the Cochrane's Gambit, a rarely played but still venomous line against the Petroff's. It was named after John Cochrane, who was a contemporary of Howard Staunton, and was a well know chronicler of Indian chess in the mid 19th Century. In fact a couple of well known games came to 'western' attention via Cochrane, including the classic 'Steele v Amateur' and the first recorded instance of the Gruenfeld Defence. However for such a well sourced player, I don't have a huge amount of games by Cochrane (mostly his match against Staunton) and only seem to have one game from his time in India. However it is a significant game as it is indeed the Cochrane Gambit, resulting in a win for its creator. "How many chess books do you have?" "Not really sure, maybe 700 or so". This is a reasonably common conversation I have with other chess players, although I'm never sure whether the answer impresses or disgusts them. Part of the difficulty in providing an exact answer is that I've never properly catalogued my books. At one point I began to do so using the Alexandria program which runs under Linux. However Amazon changed their search formats and the automatic lookup system, based on ISBN, broke. The AWS account isn't mandatory, but having it provides faster searches and more information (including cover images). All the books I checked came up either via ISBN or title pretty quickly. So all that remains is for me to spend a weekend or two sorting through my collection and I should have an exact answer to the opening question. 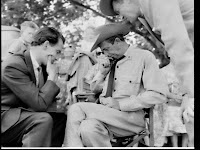 Chess Archivist Paul Dunn dug up a picture of famous Australian actor Chips Rafferty playing a game of chess on the set of 'Smiley Gets a Gun' (he is sitting on the right). What Paul didn't realise when he first mentioned it to me is that there is a family connection with Chips, as he was my wife's great-uncle. While my wife played a little chess when she was younger, and a little more during our courtship, the chess playing genes have clearly been passed down to our son, who picked up a perfect score on board 1 for his team in the ACT Primary Schools Final, and finished the schools chess season with 20/21. I was doing a little online book browsing when I cam across a listing for "The Rating of Chessplayers Past and Present" by Arpad Elo. First published in 1978, it has been out of print for a number of years, and copies were quite scarce. In fact my last reading of it was way back in 1986 during a visit to the Victorian State Library. The edition that I purchased was a 2008 reprint from Ishi Press. For those who vaguely recognise the name, Ishi Press is run by Sam Sloan, who is one of the more 'colourful' characters on the United States chess scene. And the reprint has a typical Sloan touch, in the shape of 12 page introduction to the new edition. However the rest of the book is a faithful reprint of the 1978 edition, so you can treat Sloan's comments as an added bonus. Of additional interest is the historical ranking of chess masters. Elo did this by collating historical results and calculating ratings back to the 1850's. In terms of rating his top 4 players (up to 1978) were Fischer, Capablanca, Botvinnik and Lasker. In terms of statistical dominance the top 2 were Fischer and Morphy. So if you are interested in seeing the mechanics of the Elo system, as well as a detailed history of its development, do a search on the net and I'm sure you'll be able to buy a copy. "Juniors get it to easy" is a claim often heard 'round these parts. "They get coaching and discounts and special prizes, and adults don't" is the usual follow up. And while parts of this statement may be true, there has been nothing stopping adults from organising their own 'special' chess activities, except the desire to have some one else do it for them. Well the ACT Chess Association is organising some coaching for adults (and strong teenage players). On Sunday 22nd of August, GM David Smerdon will be running a coaching seminar at the ACT Junior Chess League Chess Centre aka Campbell High. It is open to players in the 1000-1700 rating group (teenagers and up) although players outside this range may be accepted if space permits. The activities include a simul by David against the participants, with the proceeds from the day going to help fund David's trip to the 2010 Olympiad. At the back of the book "Australian Chess into the 80's" by Ian Rogers, there was published a market research survey on how many people in Australia played chess. This survey was carried out in 1980, and in the absence on any further surveys, is still the 'gold standard' for estimating the number of players in this country (usually by the simple method of extrapolation). Interestingly Reark only surveyed the 5 largest cities in the country (Sydney, Melbourne, Brisbane, Adelaide and Perth). They actually measured the "No. of Households wherein at least one person plays chess". Overall they found that 36% of housholds had at least one person who played chess, and concluded that the total number of people in Australia who could play chess was 2.24 million, which in 1980 was about 1 in 7 people. In terms of percentages Melbourne came out on top with 42% of chessplayer households, while Brisbane came last with 25% (a point behind Perth). They also surveyed the age of players, although the results below may have now changed significantly. I'll start with a sort, shameful confession. 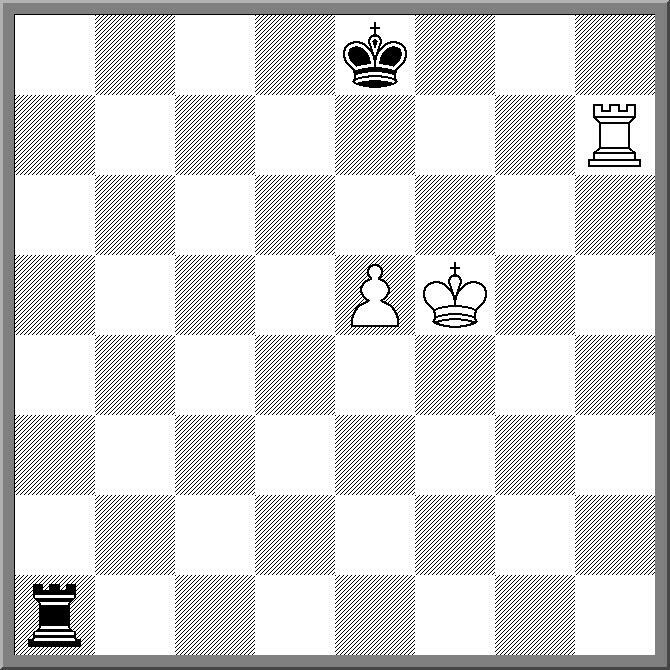 At the 2008 Chess Olympiad I reached a rook and pawn ending where I had the Lucena position. This is a book win for the player with the extra pawn (ie me). However, despite teaching it plenty of times over the years to juniors, I had a brain freeze, and failed to convert. So I kind of felt sorry for one of the junior players at my local club last week. He was actually defending the position (ie he had R v R+P) but had managed to reach the Philador position (See diagram for example). However, having done all the hard work, he played the fateful check, and suddenly it went from the Philador, which is drawn, to the Lucena, which is lost. 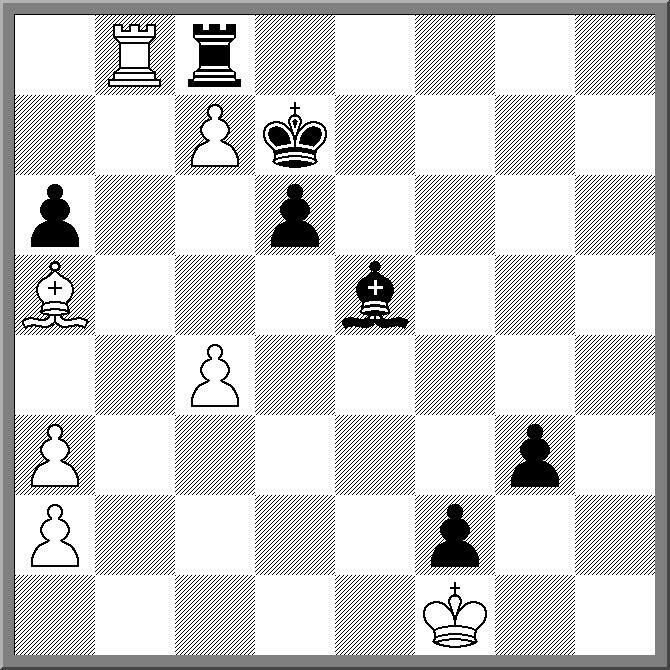 In the diagrammed position (which btw wasn't the exact position from the game), White plays 1.Kf6! If instead 1.Ke6 then 1. ... Ra6+ 2.Kf5 Rb6! If White pushes 3.e6 then 3. ... Rb1! draws by checking from behind. Now the key move for Black is 1. ... Re1! If instead 1. ... Rf1+? 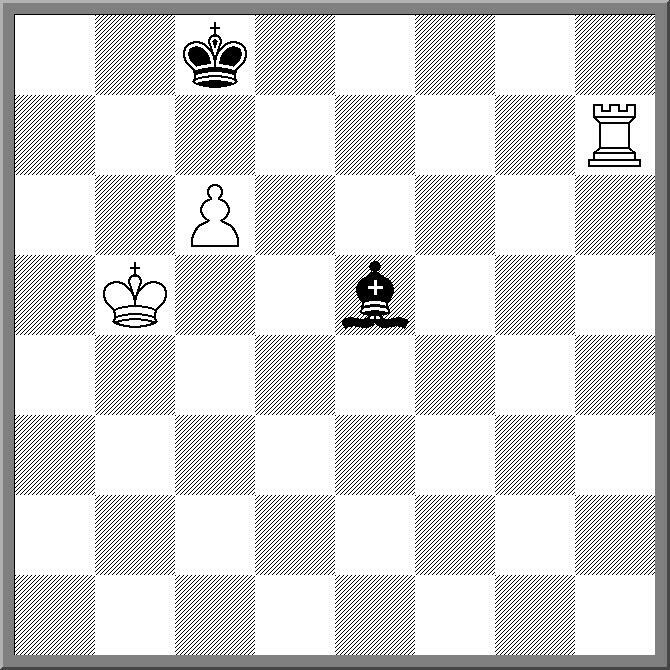 then 2.Ke6 Kd8* 3.Rh8+ Kc7 4.Kf7 and White will achieve the Lucena position (which is what happened in the game). 2.Ke6 Kf8! (The 'short side' defence) 3.Rh8+ Kg7 4.Re8 Ra1 and Black can hold the draw by a combination of checks and bringing the king back towards the pawn. *Edit: 1. ... Rf1+ doesn't lose, if Black plays 2. ... Kf8. So attach ?? to 2. ... Kd8. See comments to this post for source of correction. The 2010 British Championship ended in a predictable win for top seed Michael Adams, who finished 1.5 points ahead of the field. However the result I found most interesting was that of Pete Morriss's in the British Senior Championship. Pete spent the early part of this year in Australia (at the Australian National University actually), and when he wasn't engaged in academic pursuits, he played plenty of chess. He was a regular at Street Chess (he played his first tournament less than an hour after arriving in Canberra from Ireland) and the ANU Chess Club. He also played the ACT Championship and the Doeberl cup, where is FIDE rating took quite a beating (a donation of 100 or so points in total). While his rating might have suffered, his chess clearly did not as upon his return to Ireland he came second in a local weekend event. He then followed this up with a good performance in the British Seniors where he score 2.68 points more than his expected score, easily the biggest rating gain in the 42 player field. In fact a win in the final round would have given him outright second, but 4.5/7 was still a good score. Despite my best efforts I can't seem to get away from my own dodgy opening repertoire. 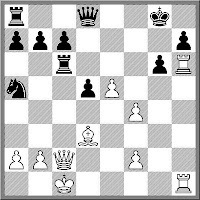 For example the Sorensen Gambit in the Advance French is known to be dubious, and yet every time I see a French 9.Ng5 gets played. Of course it doesn't always end badly. In the following game I follow a great deal of theory, all the time wondering exactly why White would willingly choose this line. Then my opponent tried a new idea, and suddenly the position blew up in his face. The 2010 ANU Chess Festival finished up today with the ANU High School and College Championship. Yesterday saw the ANU Primary Schools Championship and once again both events attracted an eclectic mix of teams. In the High Schools section the teams were a mix of serious players, enthusiastic new comers and kids just enjoying a day off school. New participants Lake Ginninderra College were the most impressive school, in terms of attitude at least, providing 3 teams who came dressed for the part, right down to the war paint. Typifying this attitude was Andrew Brown who in his chess career has collected a couple of Grandmaster scalps and an IM norm at the 2009 Queenstown Classic. Today however he was happy to hold down board 1 for his school team, going up against players who's chess ambitions extend no further than the lunchtime chess club. Via former ANU Chess Club member Jonathan Kocz comes word of an interesting competition. Jeff Sonas, of Chessmetrics fame, is sponsoring a competition to see if someone can come up with a better rating system than the Elo system (used by FIDE and a number of other countries). For the competition you are given a set of data which is the results of a number of games played over a 100 month period by 8631 of the worlds top players in the last 12 years. Using this data, and an algorithm of your own design, you then try and accurately predict the next 5 months worth of results from this same group.The idea is that the most successful predictor is the most accurate rating system. There are prizes on offer for the top 10 systems, including a bag load of stuff from Chessbase. There is still plenty of time to enter, so if you want to give it a go and become as famous as Arpad Elo, then just click on this link for the details. Here a couple of real disasters from recent Canberra club tournaments. Both games have been played a number of times before, but clearly the losing players were still caught by surprise. BTW I have left out the names of the players involved to spare their feelings, but as I am pretty sure they all read this blog, they at least know who they are. Russian GM Aleksandr Dronov is the new World Correspondence Chess World champion after winning the 22nd World Championship tournament. He won the title on countback from Jurgen Bucker after they both finished on 11.5/16. Dramatically theirs was the last game of the tournament to be completed, with a win for Dronov securing him the title. However in modern times even CC has sped up. 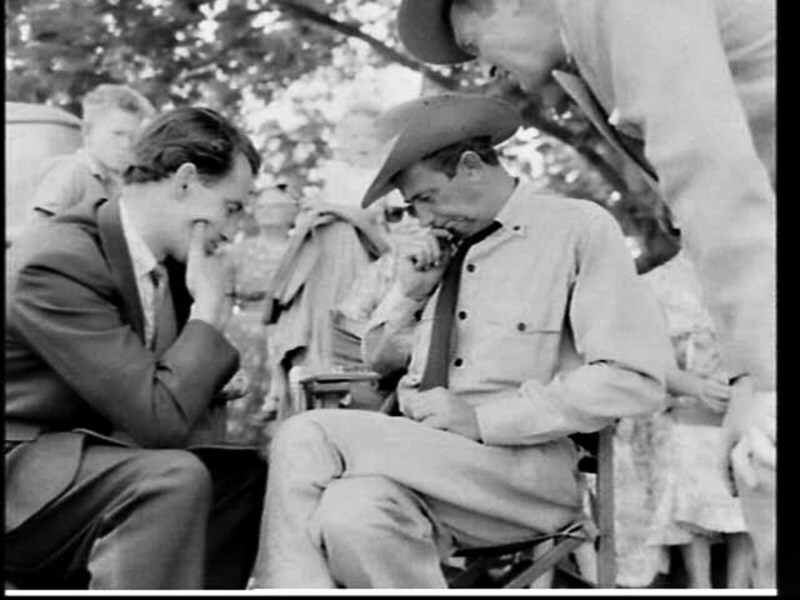 When CJS Purdy won the first World Championship in 1953 he remained champion until the next tournament was completed in 1959. At the moment there are 5 World Championship tournaments still in progress, including the postal championship which began in 2004! So Dronov's reign may be very short lived. There was time when the World Junior Chess Championship was 'the' international event for Australian juniors. These days it seems to have lost its lustre,in part because the World Age Championships (for Under 18's down) attracts both greater attention, and greater Australian participation. This years World Junior is being held in Poland, and Australia has 3 representatives. In fact all 3 are from Canberra, which either says something about the strength of junior chess in the nations capital, or the strength of the local economy. WFM Emma Guo and Tamzin Oliver are playing in the Girls Championship, while Sherab Guo-Yuthok is playing in the Junior Championship. The event begins today and standings etc can be found at the official website. 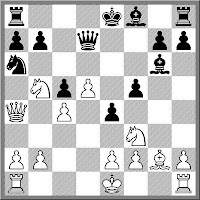 Interestingly while describing the rules at the start one player suggested the even simpler 8 pawns v 8 pawns (without any pieces at all) is a win for the player moving second. 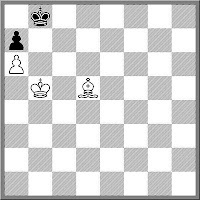 The argument is a 'classical' one, in that Black simply mirrors Whites moves, until White is forced to sacrifice a pawn and supposedly lose the game. However I suspect there is a flaw in this reasoning, depending on the rules used. 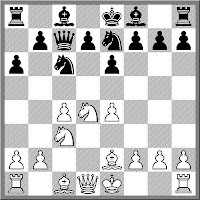 If you use the "both queen = draw" rule then 1.f3 f6 2.c3 c6 3.e4 e5 4.d4 d5 5.exd exd is a draw as both players then push to d8/d1. But my question is: Is this game a win for one side or the other (ie has this game been solved)? If so, what about the case where kings are added?